We reviewed Vermintide when it came out on PC last year and couldn't stop singing its praises. In fact, we were so enamored with Ubersreik and its furry new inhabitants, the game got our coveted 2015 Golden Fitty Award (also known as Game of the Year). If you haven't had a chance to see loot-based first person shooter in action, check out the console announcement trailer below. 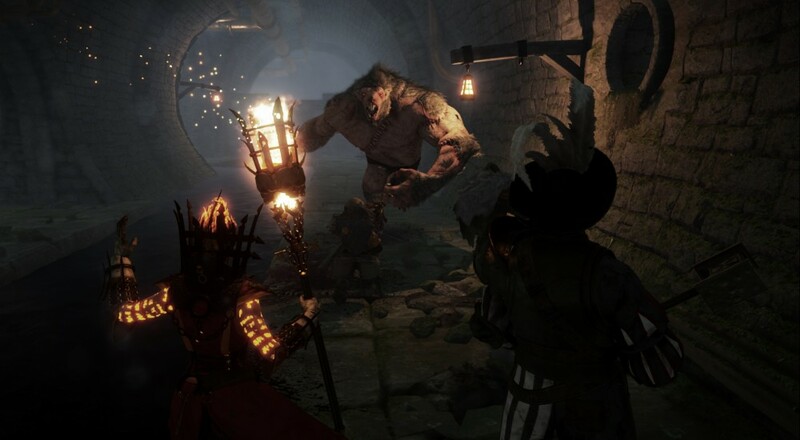 Vermintide supports four player online co-op, so gather a few friends and decide which of you will play the ornery dwarf and which will play the vaguely Irish wood elf. As it turns out, developer Fatshark Games is quite the generous bunch and will be including the first three DLC packs with the console version, meaning your group will have immediate access to "Sigmar's Blessing", "The Last Stand", and "Drachenfels". The port will be out October 4th of this year, just in time to match the cold, desolate feeling of the impending apocalypse with the frigidity of the outdoors. Also, the temperature drop gives you even more excuses to stay inside and grind out loot. I'm not saying that's not a coincidence, but I'm also not not saying it's not a coincidence. So, you know, noodle on that for a while.